A new report, Aging in Place, Stuck without Options: Fixing the Mobility Crisis Threatening the Baby Boom Generation, released by Transportation for America finds that more than 64 percent of Cincinnati’s population between the ages of 65 and 79 will have poor transit access by 2015. In the Cincinnati metropolitan area, that accounts for approximately 200,000 people. 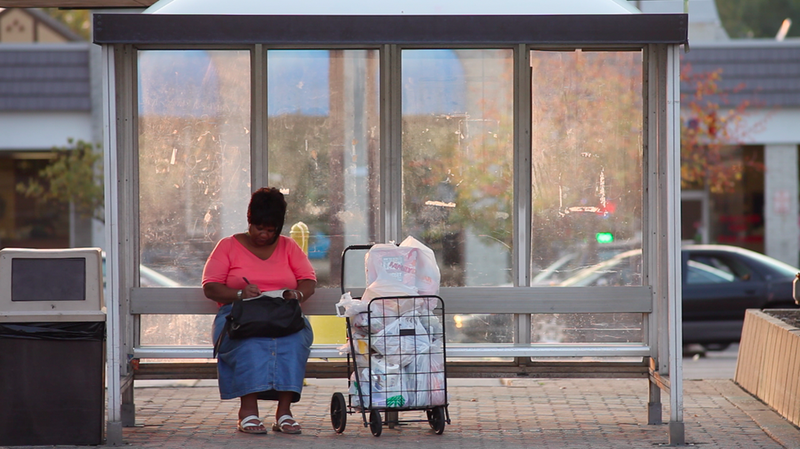 The Cincinnati region is not alone when it comes to providing adequate transit options to a growing aging population. Out of 48 regions studied with 1-3 million people, Cincinnati ranked as the 17th worst. Columbus and Cleveland, meanwhile, ranked as the 18th and 24th worst respectively. The lack of transit options provided in the regions studied is matched by an increasing number of seniors utilizing public transit. A 2011 report from the AARP Public Policy Institute found that the total number of trips by seniors on public transit grew 51 percent between 2001 and 2009, and that seniors now account for nearly 10 percent of all trips taken on public transit in the United States. St. Bernard bus stop photograph by Jake Mecklenborg for UrbanCincy. Nancy Schuster, executive director of Independent Transportation Network of Greater Cincinnati (ITNGC), believes that these facts are on a collision course that will very soon result in transportation poverty for many Cincinnatians. And the data comes as Cincinnatians face an important decision at the ballot box in November. Issue 48 would prohibit the City of Cincinnati from spending any money on rail transit for the next decade. Schuster refrained from offering an official position on Issue 48, but did say that much of the focus has been on the price tag of mass transit, not on its benefits to the city and how transit serves the needs of seniors and those with disabilities. “Hopefully we can find suitable, affordable transit options that will enable seniors and visually-impaired adults to remain independent, contributing members of our Greater Cincinnati community,” Schuster told UrbanCincy. The Transportation for America report listed five best practices to help address the pending crisis for seniors and the disabled. Those practices include coordination between different levels of government for planning and service integration, promotion of mobility management, designing communities that accommodate all demographics, improved transportation safety, and encouraging community-based transportation programs. “Failing to plan for mass transportation options will likely hinder the vision of Cincinnati as a retirement destination,” Schuster explained. A situation made even more troubling by the fact that more than 85 percent seniors have a strong desire to age in place.